I’ve always had a close affinity with the Isle of Man. My grandfather was holidaying here over 125 years ago and during the Great War my grandmother sent my father and uncle to the Isle of Man. She said it was for their own safety but I think she just wanted to get rid of them! 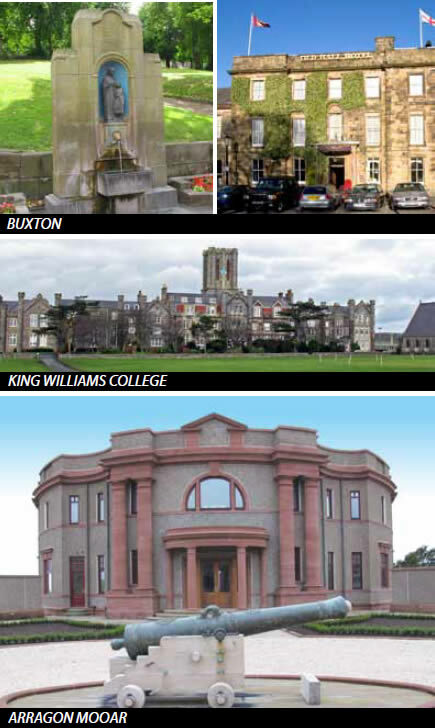 Although I was born in Buxton, I ended up going to school on the island at King William’s College, so the location played a big role when I was growing up. Eventually I ended up bringing my children here, because it’s a safe place. I always had a great sense of freedom whenever I was in the Isle of Man and I wanted them to have the same experience. There’s a lot of history here. You can go almost anywhere and see Neolithic geology or ancient Celtic burial sites. It’s absolutely fascinating. The Isle of Man is where I house part of my extensive early English clock collection at the home I’ve built from scratch, Arragon Mooar. As clocks are man’s greatest invention, I love to share my passion for horology with the public, so my clocks and watches are often on loan to exhibitions. A special exhibition – Innovation & Collaboration – takes place at Bonhams New Bond Street, London from September 3-14. The spectacular exhibition explores the early pendulum clocks in London. Admission is free. Please pop in and let me know what you think.